Prior to real estate Alicia was an elementary education teacher but she has always felt that her true calling was real estate. With encouragement from family and friends she launched her career as a real estate broker and has served Greater Chicago Area since 1994. With her professionalism of integrity and loyalty always coming first, she is committed to offering friendly, personalized service to both: buyers and sellers. 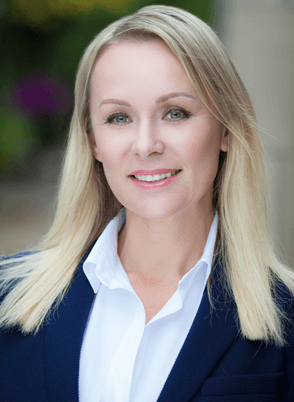 She attributes her longtime success to listening well to her clients’ needs and working hard to get what they want using very innovating marketing plans and her result-proven negotiation skills. In her free time Alicia likes to spend time with her family and friends, volunteer, travel and ballroom dance. My husband and I had the opportunity of working with Alicia for the sale of a 1950's relative's home. She was extremely efficient with getting us started with her suggestions of what we might do to improve the house. She was always on time, always responded to our calls (even when she was out of state) Her property assessment was right on for our neighborhood. She worked with us to attain the best and most reasonable price for the house. At the closing she made me very comfortable explaining the conversation to me, she is fluent in Polish. My husband and I would contact her again if we were need of selling. She was honest, trustworthy and patient with us and had a superb knowledge base of what is involved in selling a house. Alicia is courteous, considerate and always answers her phone. Her expertise is above reproach. I highly recommend her to others.